We are absolutely delighted to be collaborating with Jamie Raftery, The Holistic Chef. Jamie is a very passionate, creative, enthusiastic, humble and determined man. Grafting his way from a 15-year-old pot washer to cooking on the toughest section in world number 1 restaurant The French Laundry 10 years later is a testament to his will and strength of character. He has an unshakable desire and commitment to achieve his goals and dreams. Jamie’s mission as The Holistic Chef is to educate, inspire and empower people to live a healthier and happier life by choosing more nutritious foods on a daily basis. His mantras are ‘let food be thy medicine’ and ‘our health is our greatest wealth’. We are really pleased to be working with Chef Philip Mayo, Head Chef at Wild Beer at Jessop House, and we hope that you enjoy cooking his Signature Argan Oil Dishes. Philip has been working as a Chef for over 6 years in award-winning kitchens based in the Cotswold and the Forest of Dean. He first wanted to become a chef at a young age—passionate about experimenting with new ideas and flavours. Philip has a wide range of culinary experience including Italian, fine dining and classical French. 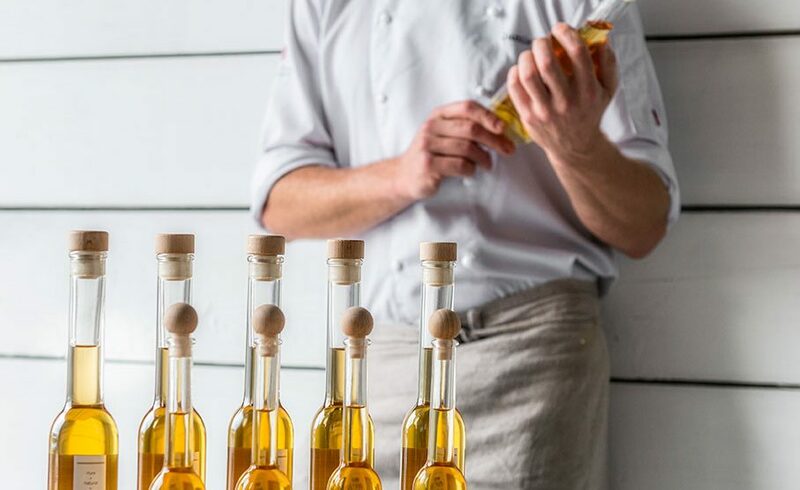 The Taste of Argan Oil had the great pleasure of working with Chef Rich Ashmead, who has crafted signature gourmet recipes featuring our deliciously nutty Argan Oil. His Signature Dishes please everyone from the meat-lover to the vegetarian to the vegan. We hope that these recipes to dressing and marinating your food with Argan Oil can transform your cooking into a stress-free, enjoyable and health-focused adventure, where dishes are bursting with flavour.